The ARA’s New Zealand Rail 2019 will take place at the Pullman Hotel Auckland on the 19 and 20 June 2019. The economic value of rail to New Zealand was recently calculated to be approximately $1.47b to $1.54b per annum. Building on the Government’s commitment to rail, the ARA’s New Zealand Rail 2019 will drive growth by focusing on the ‘how to’ by bringing together key industry and government stakeholders, customers, researchers and suppliers to network and exchange best practice on the innovation, collaboration, technical expertise and investment needed to advance these planning priorities and future opportunities for rail in New Zealand. 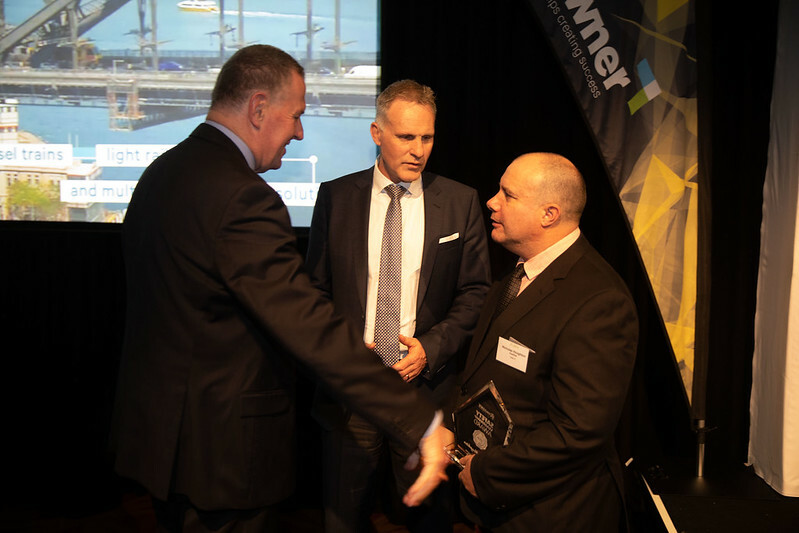 New Zealand Rail 2019 builds on the great energy and enthusiasm of the record attendance of the 2018 conference which provided updates, outcomes and ambitious plans for the future of rail in New Zealand. Delegates will enjoy a guided walking tour of Auckland’s City Rail Link (CRL) – the largest infrastructure project ever to be undertaken in New Zealand. The group size is limited to 40 pax. Brring along your closed walking shoes and register at the time of your booking. The ARA is delighted to offer reduced registration fees to young rail professionals, aged 35 years old and under on 19 June 2019, to attend this year’s ARA NZ Rail conference. *To receive the Young Professionals discounted rate, you must be aged 35 years or younger. Note: You will be required to provide ID on the day of the event. Do you have an idea that could dramatically enhance rail in New Zealand? Submit your concept for an opportunity to be flown to Auckland* to pitch your idea to today’s rail leaders. Young railway professionals** of all disciplines are invited to submit a 400-600word abstract detailing your idea. The economic value of rail to New Zealand was recently calculated to be approximately $1.47b to $1.54b per annum and as you’re aware, rail makes significant contributions to New Zealand’s social, economic and environmental objectives. Reflecting this, we invite concepts that target any aspect of rail – technical and engineering, customer service, strategic business planning, marketing, technological opportunities. If you have an idea that may increase rail’s safety, improve engineering or maintenance practices, better rail’s performance records or ultimately offer freight or passenger customers an improved service – we want to hear from you. Submit your idea, large or small and contribute to New Zealand’s rail future. Entries must be 400-600 words and include a concept title, name/contact details, institution and qualification underway/completed (including completion date), the issue being addressed and the solution/idea proposed. Final presentations can include multi and/or mixed media. Entries will be judged by the Organising Committee on the benefits the idea could provide, its quality and relevance. The Organising Committee’s decision is final. No feedback will be provided to unsuccessful applicants. **Young railway professionals. Open to all railway professionals who are 30 years or under. Finalists will be announced in May 2019 and receive return economy airfares to Auckland from their hometown city to attend the ARA’s NZ Rail 2019, two night’s accommodation and complimentary attendance to the event, including the ARA Dinner. 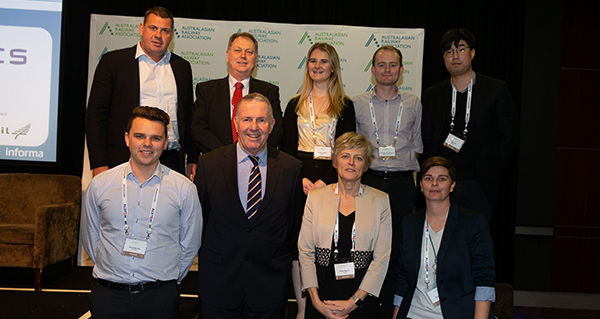 Finalists will be given 5-10 minutes to present their idea to rail CEO’s at the ARA’s NZ Rail 2019 Conference as part of the program on 19 June 2019. The winner will be announced at the ARA Dinner on 19 June 2019. In addition to being awarded a speaking position on the program of the New Zealand Rail Conference in 2020, the winner of the Young Professionals Pitching Competition will win a trip for two on-board the breathtaking TranzAlpine train. Climb aboard one of the world’s most famous train journeys, between Christchurch and Greymouth. Cross the fertile farmlands of the Canterbury Plains, and enjoy thrilling vistas over deep gorges as you travel alongside the ice-fed Waimakariri River. Traverse the mighty Southern Alps, where spectacular views of the chiselled alpine landscape will take your breath away at every turn. Descend through thick stands of native beech forest to your destination, Greymouth – a great base for exploring this unspoiled region with its mighty glaciers, wild rivers and famous Punakaiki pancake rocks. The TranzAlpine runs daily throughout the year, departing Christchurch at 08:15 and returning at 18:05. It stops at Greymouth for 1hr, arriving at 12:45 and departing at 13:45. For any queries please contact Tina.Karas@informa.com.au. Proudly sponsored by Downer, the Conference Dinner will be held at the Pullman Auckland from 18:30 on the evening of 19 June. Join us to celebrate the announcement of the winner of the NZ Young Rail Professionals Pitching Competition and the TrackSAFE NZ Award for Safety Leadership. 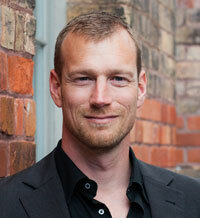 We are also delighted to have Dr Paul Wood share his powerful story of transformation. Enjoy this chance to network, collaborate and be inspired in a relaxed and convivial atmosphere. The Australasian Railway Association (ARA) and SNC-Lavalin Atkins invite young professionals who work in rail and their managers, as well as those interested in pursuing a career in rail to attend the Young Rail Professionals Forum to be held in Auckland on Wednesday, 18 June 2019. The Forum is an invaluable opportunity to network, participate in discussions and gain knowledge from invited industry panellists. Rail makes significant contributions to New Zealand’s social, economic and environmental objectives and now is the time to review and assess the future of rail from the perspective of the next generation of industry leaders. To showcase the ideas, priorities, projects, career opportunities and training needs of the future, we are delighted to launch a new format at this year’s conference – the ARA New Zealand Next Generation Panel. Application to join this Next Generation Panel is through a formal Expression of Interest process. This program is open to all rail professionals, aged 35 years or under, from ANY area of the business. Forward your answers to tina.karas@informa.com.au by AEST 5pm on 19 May 2019. For your convenience Lido Group will manage your accommodation needs. Click here or call on 02 8585 0808. Informa Australia is the nation's leading event organiser. Our events comprise of large scale exhibitions, industry conferences and highly specialised corporate training.